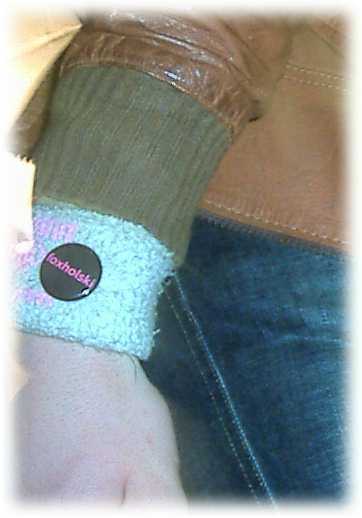 Foxholski badges- as worn here by Mr.Tom Bellamy! 2/5/03 rah update: At the party post astoria gig , they all got a new badge except Jon this time, because he was ill and had to leave , aww. 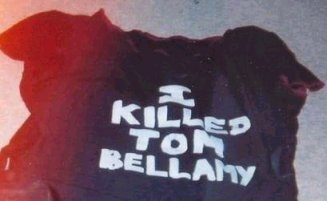 But Ben has promised to wear his foxholski t shirt at the Norwich gig, so hurrah.